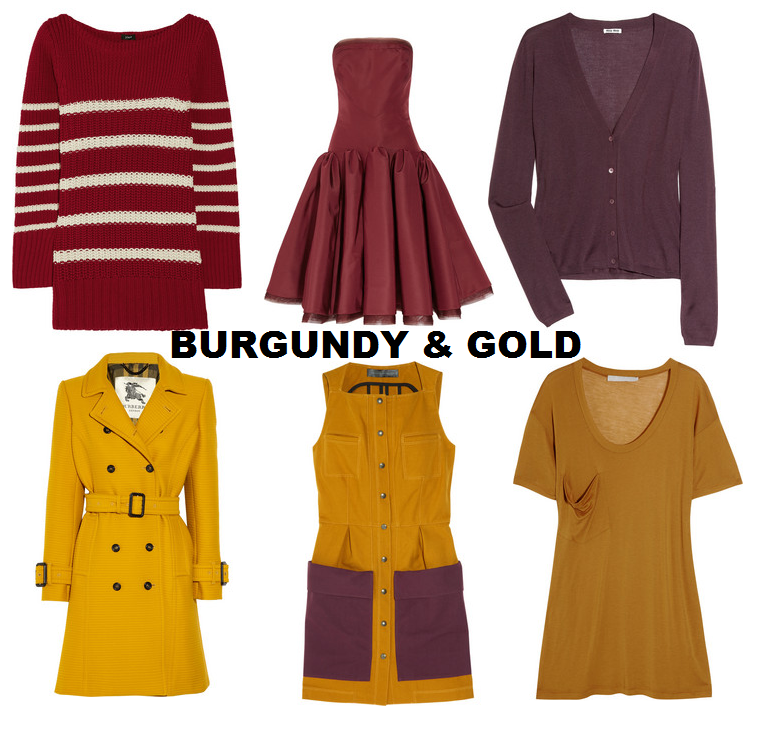 Who would ever think that burgundy and gold go so well together? Certainly not I, but upon second thought I realize there are a lot of opportunities for these colors. So I scoured the internet to find some possible school-spirit-appropriate clothes, and wouldn't you know, even Proenza Schouler has hopped on the "Burgundy <3's Gold" Train. Metaphorically speaking, of course.